Another restaurant favorite decoded. 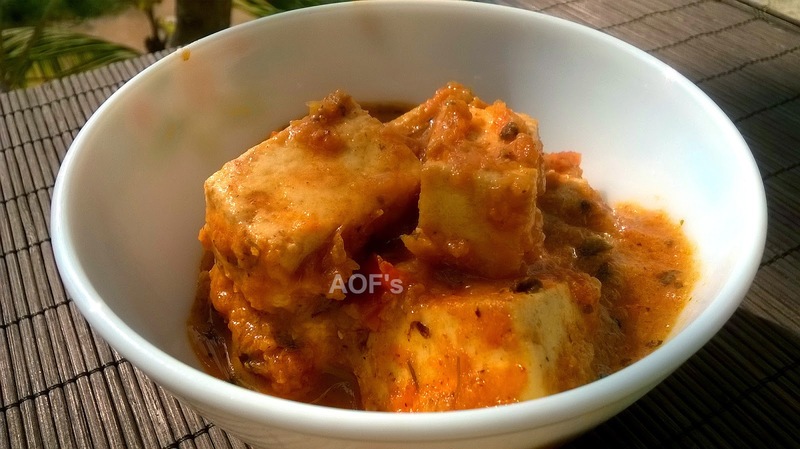 This time it is the sumptuous Butter Panner Masala or Panner cubes simmered in a rich gravy of onion, ginger, garlic, tomatoes and cream. Though it is hard to believe, the simple preparation method belies the end results. Preparation - Chop the onion roughly. Cut each tomato into 4 halves. Cooking - Take one butter cube and the oil in a wok. Add the whole spices (cardamom, cinnamom and cloves ) and fry till fragrant. Add the onions. Fry till onion becomes translucent. Add the GG paste. Fry for 1 minute. Add the chopped tomatoes and fry for 2 mins before removing from the flame. Keep aside till it cools down . Transfer to a mixer/grinder jar. Buzz into a smooth puree. Place the same wok on the flame ( there would be some oil/butter remaining in it ). Add the butter cube. Pour the paste into the wok and cook for 2 mins. Add the cumin powder, chili powder and the Kasuri methi (remember to rub it between your fingers before adding) to the onion tomato gravy along with 1/2 cup hot water. Add salt. Bring everything to a gentle boil. Simmer for 3-4 mins. 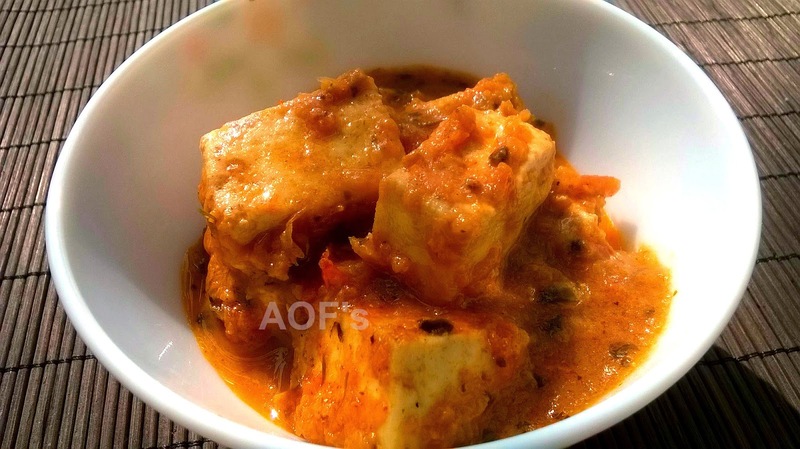 Finally add the Paneer cubes and simmer for a minute. Finally add the honey and the cream just before removing from the flame. Serve hot with rotis/phulka/naan or even jeera rice/pulao . Note - One can also use cashew paste instead of cream. But unlike the cream which is added just before removing the gravy from the flame, the cashew paste needs to be cooked for a few minutes.